Allow me to refocus the conversation a bit. After what our nation has gone through these past few weeks, we all could use a little break from politics. Let’s celebrate that we now have Associate Justice Brett M. Kavanaugh on the U.S. Supreme Court, but let’s maintain a sober attitude and an informed perspective. As prolifers, we have reason to hope that Roe v. Wade will be overturned. Yet we know from history that rumors of Roe’s demise have been greatly exaggerated over the years, through a succession of Republican presidents and their high court picks. Maybe the addition of Kavanaugh, a Catholic, conservative-minded textualist, will be the tipping point for the Court. After all, he replaces Anthony Kennedy, author of the woeful decisions that took abortion jurisprudence into the clouds of self-definition and actualization, so there can only be an improvement in the Court’s deliberations. Indeed, I prayerfully hope that Kavanaugh will prove the key, and that is what I wish to write about here: hope and prayer. 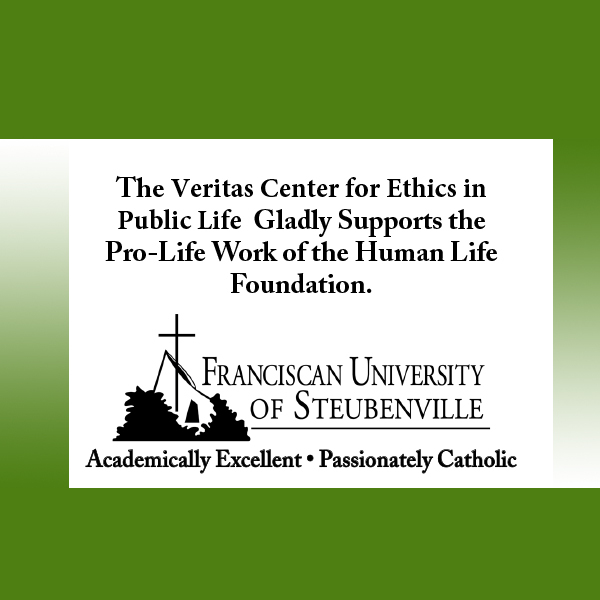 I have been a pro-life activist for going on 30 years and have seen a thing or two. No longer possessed of the energy of youth, I seek comfort in the long view and in counseling bright, young newcomers to double their efforts yet temper their hopes. I have come to doubt that a majority of American citizens, legislators, judges, and justices have the fortitude to stop abortion. Think about what a post-Roe nation would be like, with the issue returned to the states, and you might get a sense of what I mean. With the mere threat to legal abortion posed by the nomination of Kavanaugh, our polity was thrown into crisis, with reckless allegations, wild protests in the streets and the halls of Congress, and an obsessive media poring over high-school yearbooks to parse the import of juvenile boasts and clubby code words. It will only get worse when an abortion case reaches the Supreme Court, and who’s to doubt that Chief Justice Roberts, who ruled approvingly on Obamacare, supposedly to preserve the Court’s reputation, would not do the same regarding the even more divisive issue of abortion. To quell a perceived national upheaval, some compromise may be sought. We know that Americans are pretty evenly divided over abortion, depending on how the questions are phrased and who asks them, but there seems to be a fairly consistent majority that wants at least some abortion some of the time. And that is unacceptable to true prolifers. We can be incrementalists, supporting laws that would reduce the prevalence and acceptance of abortion, but our goal is to have laws against abortion as we do against manslaughter or murder. Though we know people will be killed at the hands of others, it should never be acceptable or legal. But to reach that state of law in our land, we will need a determination to stand and fight that few Americans will stomach when they see not just our politics riven but our daily lives, residences, and workplaces disrupted. Pro-abortionists have made it clear. No one is exempt and no place is safe, not even a senator in a congressional elevator. To them, the political is in-your-face, watch-your-back personal. So to those who think that with Kavanaugh in, abortion is on the way out, I say, curb your enthusiasm. To those who think the road to overturning Roe will be purely political, I say, have you ever seen an exorcism? As Jesus advised, some demons come out only with prayer and fasting (Matt 17:21). Yes, demons, ultimate evil—for that is what we are dealing with when we confront abortion. The most insidious way that the devil can attack God is to destroy his newest creation, the child in the womb, the innocent image and likeness of God. When I saw the news clips of legions of activists screaming from the Senate gallery, or accosting lawmakers in the hallways with vulgar words and gestures, I thought of the 1992 Democratic Convention in New York that nominated Bill Clinton. With Operation Rescue in town, rescuers entered an abortionist’s office, chaining themselves to the door and stopping business for the day as police sought to break the locks. That evening, enraged female abortion activists blocked the doors to a midtown church where an Operation Rescue rally was scheduled, pounding their feet on the ground and screaming, “You block our clinics, we’ll block your churches!” Police managed to herd them into the back of a large van, where they continued to stamp their feet, causing the vehicle to bob and rock as it pulled away. At the delayed rally, Father Benedict Groeschel insightfully observed that the clinic is their church and abortion is their sacrament. If Roe is overturned, abortion activists will cause more than a police van to sway. They will set askew our politics, institutions, churches, culture, and social fabric. The only answer is to pray and fast. I assume we all pray to end abortion, but have we prayed without ceasing—with ardent, self-sacrificing urgency, as though our own child was under the killer’s knife? Have we fasted? Foregoing food to give more to the poor, feeling the pangs of hunger and offering them for the sufferings of aborted babies? We are in for the spiritual battle of our lives, and we would do well to paraphrase the words of Revolutionary hero John Paul Jones, saying with faith, love, and humble resolve: We have not yet begun to pray. Stephen Vincent writes from Connecticut.